The early Mustang frontends have very poor suspension geometry...the tires lean outward around turns, the bumpsteer is bad, and there is little room to run a wide wheel. The TruTurn system resolves ALL these issues... the tires now lean INTO the turn, the bumpsteer is 0.000" through 5" of suspension travel, and you now have clearance to run up to a 245mm Tire. ackerman angle, AND allow clearance for up to a 8" wide wheel with a 5.5" backspacing. 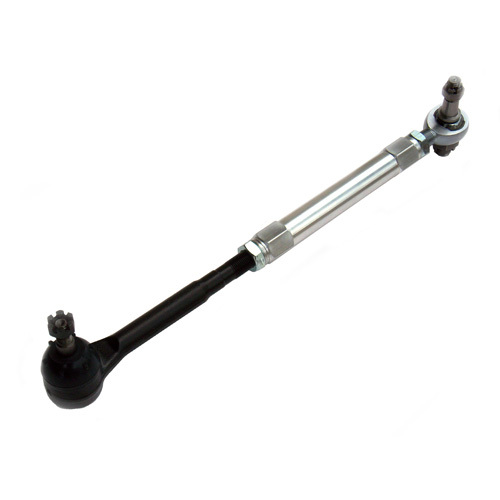 Tie Rod Assemblies – integrates with your new steering arms and centerlink to provide a true "no fab" bolt on steering system. The 1964-66 Mustang TruTurn package is the recipent of the 2012 - Hot Rod and Restoration Trade Show - Innovation Award. 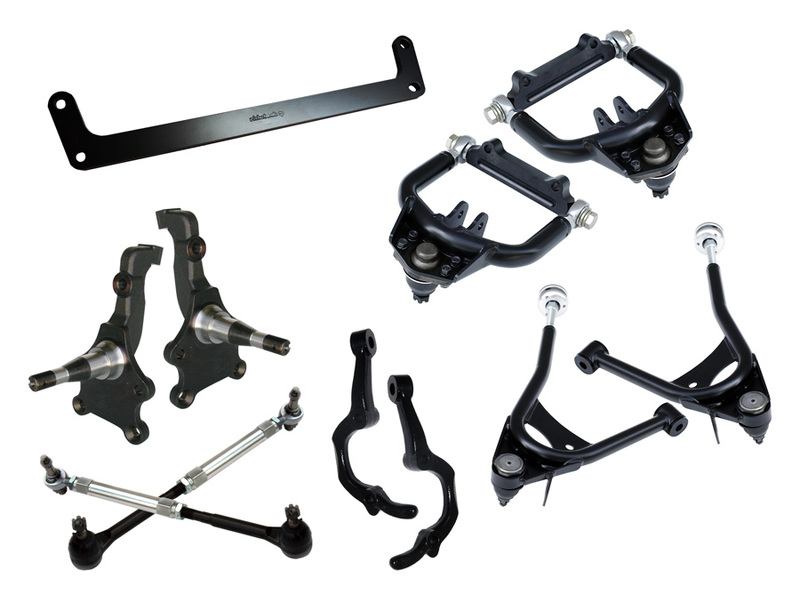 Can I use my existing OEM or other aftermarket dropped spindles with this system? 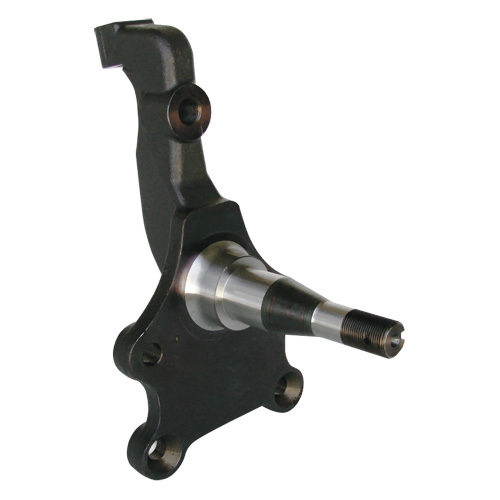 Camber gain refers to the rate of camber change the spindle will see through the range of suspension travel. 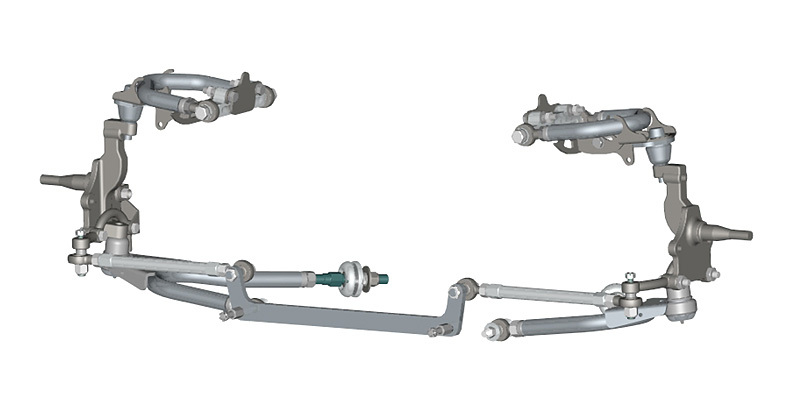 With most OEM cars [especially older musclecars], the OEM suspension geometry will lean the compressed wheel OUT when turning. [Take a look at an early Mustang taking a hard turn] With the Tru Turn suspension the compressed wheel will lean INTO the turn, keeping the tire squarely on the ground thereby offering more lateral grip AND offering a more stable turning experience. 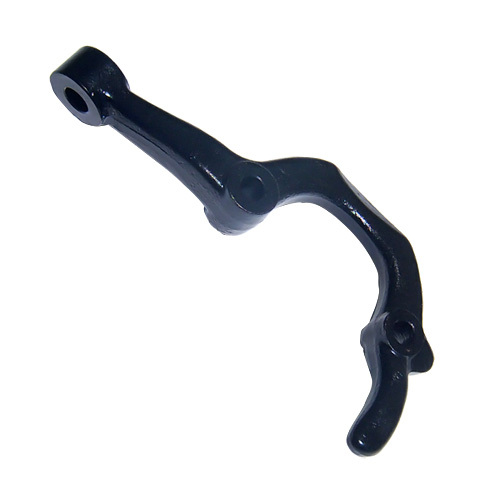 Is the Tru Turn system compatible with my OEM control arms, or other brands of control arms? No, the TruTurn is specifically engineered to work only with Ridetech StrongArms.